A trilogy bout between Charles Oliveira and Nik Lentz was added to the upcoming UFC Fight Night card in Rochester, N.Y., on May 18, the fighters announced via social media. Oliveira and Lentz met for the first time in June 2011 and the Brazilian won via second-round submission. However, the bout was later overturned to a no-contest due to an illegal knee that landed moments before the finish. A rematch was booked for May 2015, and Oliveira got the finish with a third-round guillotine choke. “The Carnie” (30-9-2, 1 no contest) enters the trilogy bout coming off a second-round TKO victory over Gray Maynard and a recent decision win against Scott Holtzman. Oliveira (26-8, 1 no-contest), on the other hand, scored four straight submissions over Clay Guida, Christos Giagos, Jim Miller and David Teymur. A featherweight clash between Julio Arce and Julian Erosa is also official for UFC Rochester. Arce (15-3) had a good start in the UFC with wins over Dan Ige and Daniel Teymur, but had a seven-bout winning streak snapped by Sheymon Moraes in December. Erosa (22-7) signed with the promotion after stopping Jamall Emmers at the Contender Series last June, but lost to Devonte Smith and Grant Dawson since. UFC Rochester will take place at the Blue Cross Arena and feature Rafael dos Anjos vs. Kevin Lee in the main event. 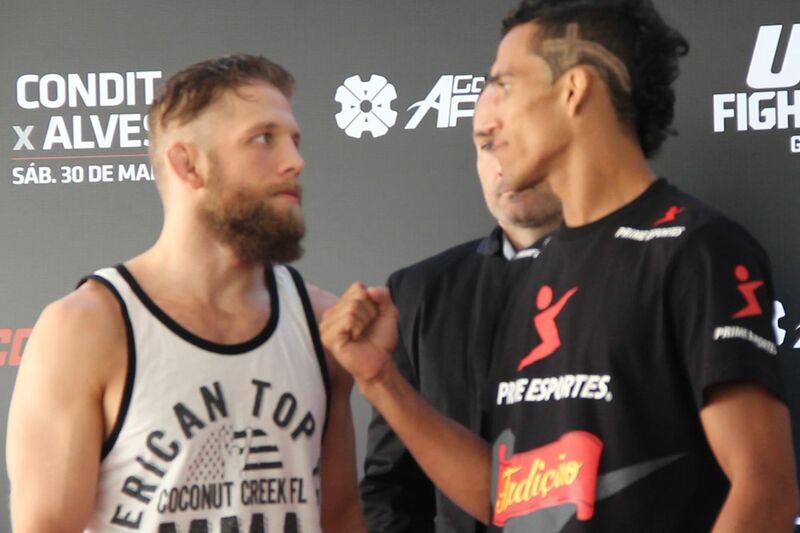 Lee will be making his welterweight debut against the former UFC lightweight titleholder.